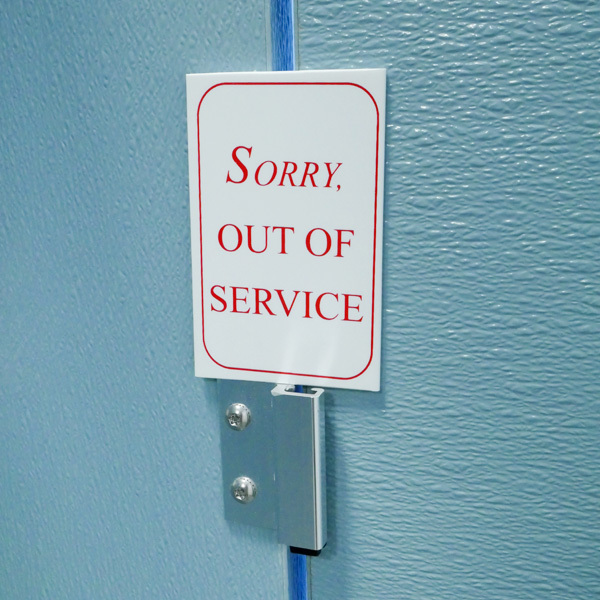 This restroom stall block-aide is used to slide over a stationary stall front panel and the door panel. This locks the door and prevents patrons from entering the stall. 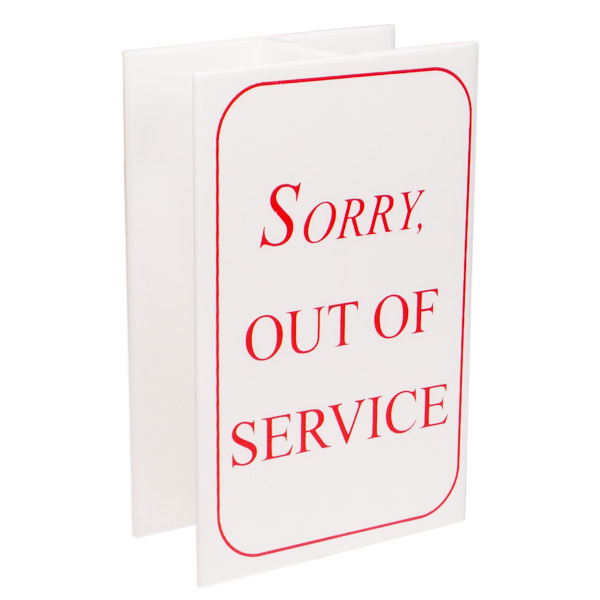 The message on the block-aide is polite and lets the patron know that the stall is currently out of service. This tool slides easily between the two panels. It is made of ABS resin which protects it from chipping or cracking if dropped. It fits most doors. See how the Block-Aide works in our Block-Aide video and blog article.